Our food offerings are all sourced locally and are freshly delivered to our cafes on a daily basis. 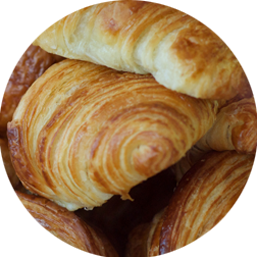 We currently have a wide selection of baked goods, pastries, parfaits, handmade French baguette sandwiches, and salads. 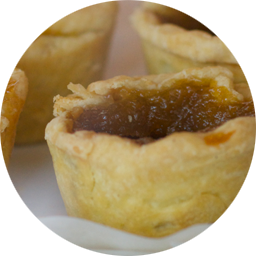 With an impressive selection cupcakes, brownies, tarts and more, our baked goods are sure to please every taste bud. Start the day off right, with one of our healthy parfait options. Our freshly baked pastries are also sure to please. 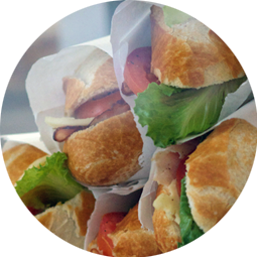 Drop by during lunch time to have one of our delicious sandwiches. Our rotating options, including Ham and Swiss, Turkey and Brie, Tuna and Apple Brie and Walnut are made fresh daily. 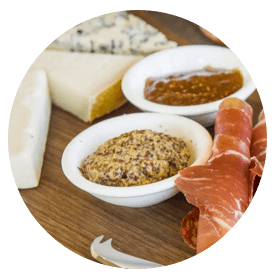 We have recently introduced carefully prepared meat & cheese boards at our Gerrard Street location.